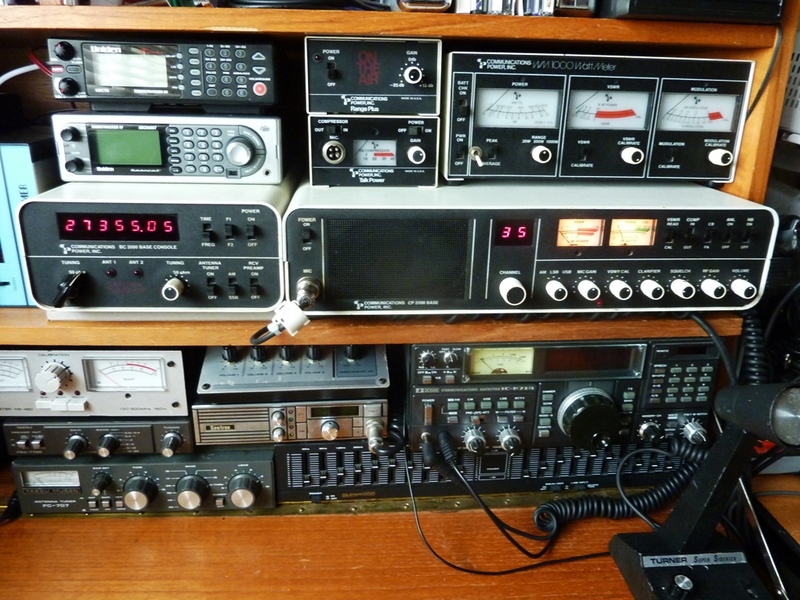 I am trying to resist adding every CB radio transceiver known to this time, as many have done that already, and with good results. So I hope you enjoy my efforts as its purely for a hobby and the sponsor ads help as well with the hosting and domain renewals. I have a log book somewhere that counts near a hundred different countries that I have contacted on CB radios inside the 27MHz Citizens Band 40 Channel Government allocation. OK, I admit some were probably with a few more watts than standard, and maybe the odd ham radio as well, but most were made on CPI Communications Power Inc. CB Radios. 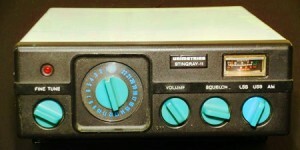 I did start out originally on a Unimetrics Stingray Xtal CB radio that I bought from my brother Colin – AX34 who kick started my radio hobby interest again after I got out of the RAAF. It was pretty basic but it got me on the airwaves and recreated a strong interest in radio communications and the technical aspects of antennas and RF. I have always been into radio since a 10 year old putting up long bits of wire from the roof of our country home to the peppercorn tree at the back of the yard to get better reception on the large wooden Short-wave Radio that the family listened to, as TV was not around yet. I was always trying to get that elusive SW broadcast from somewhere else around the world and figured a better antenna was the best solution. It was right then, and its still right today! I loaded up the 10 miles of aluminium cable through the old tuner to the CB Radio and could not believe the signals coming in from the USA! Many US states were able to be devastated by my signal going back there well into the red by my standard 12w out of I think was a Courier Gladiator I had tuned up well. This was when the conditions were not that good at the time. That Courier Gladiator was the first PLL CB Radio in to Australia that I know of. It was brought in by Ford Motor Company to trial fitment in to large trucks for making convoys or something. Anyone that knows the Gladiator CB Mobile would realise that it probably was not the best choice only because of its extra large mobile size. Its probably the largest Mobile CB radio ever made! To my benefit though, as one of the mates in the Pistol Club I was a member of worked at Ford and had inherited the CB and had no use for it. YES PLEASE! As a electronics tech at the time I wanted a PLL CB radio to replace my Xtal locked Stingray to get the extra frequencies easily. The Courier Gladiator PLL was one of the first and best to modify and I had thumbswitches on it within a week dialing up anywhere from New Zealand at 26.500 to the Aussie Marine Channels on 27.880. That is one CB Radio I definitely regret selling, and I sell very few I get. 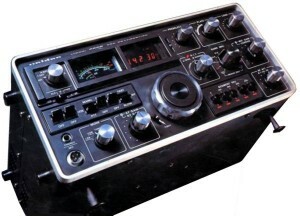 The other CB radio I sold and will forever regret it is the SBE 5 KeyPad Mobile I had going everywhere by CPU control of the modified PLL and a 5kc slider. An awesome performer. Wait! There’s More! The highly PLL modified SBE Console Four which I didnt sell but got virtually stolen because I had it stored for years and missed a monthly payment by a week. They had sold everything I had in there, coin collections, guns, radios, and there was nothing I could do about it. 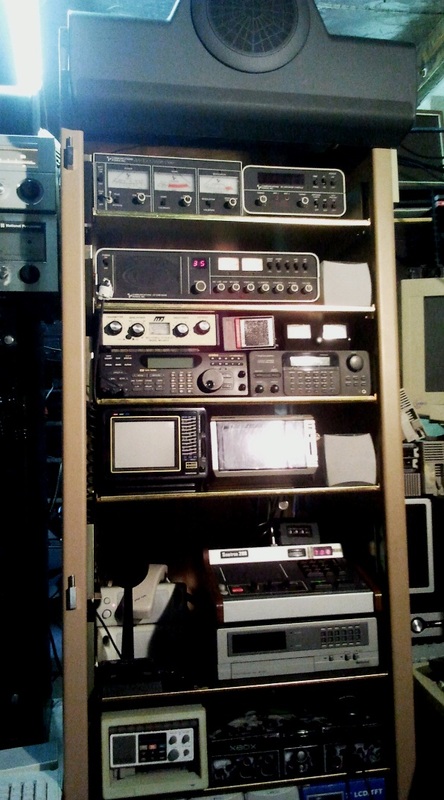 I worked a lot of great DX on the CB Feebands with that CB radio base station before I replaced it with my CPI CP2000 & BC2000 Communications Power Int. equipment. And then there was the Cobra 148 stolen from my Mitsubishi Starion Turbo in the “Secure” Apartment lockup Carpark. Oh, And a few that some big guy in a goldie suit decided I should not be really using after being let in the front door to stand behind me as I was dxing into the US! Hmm, he said, I dont have a Phillips 880 which can do 80 channels on UHF CB, and this Uniden 2020 100 watt Ham rig that has 27 Mhz as standard does not mean it can be used on 27Mhz! Unfortunately it was hard to argue with him, so later we gave him an AlphaXray callsign. That may have been why he fronted along to one of our meetings in the Hotel in South Melbourne where we had a radio pumping 100 watts out of a ringo we convinced the Hotel owner to let us put on the roof temporarily for the night. 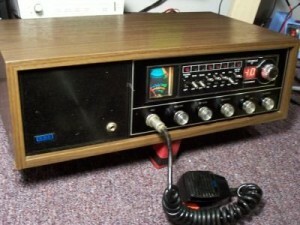 Did you have this much fun on CB radio?? Much more to come if your not bored yet…. Considering Dad was a Wireless/Air Gunner in the RAAF on Wellingtons out of England during WWII, he never showed any encouragement in my radio hobby. Would have loved his 45WPM CW skills though when going for my full call ham ticket! But he made up for it in taking me fishing which I hated. It was always so boring and I did not have a portable radio to pass the time in those days. BUT there was always the promise that if he did not catch anything by the time we were leaving he would let me use the “Expanding Bait” as he called it. Most others would have called it Gelignite! Its a strange world but co-indecently he now worked as a linesman for the county but his name was Jack. When you dig holes for electricity poles and hit solid rock there is one fast solution to get through it and we had it. Amazing how many fish there were lurking below the row boat in the lake that did not fancy the bait on his fishing line hook. Once we forgot the det crimping pliers but I was not going to let that stop my fun. My teeth worked well enough before he could stop me, so kicked me up the bum when we got ashore! As I was getting towards year 11 I was often out on the road with him helping to put up long distance power lines where the pole holes needed persuasion to deepen and I used my teeth to crimp dets more than I should have when he was not around. I must admit I did even make quite a few other types of explosives with chemicals from the high school chem lab and recipes from encyclopedias as I had the Bang Bug. Much later after joining the RAAF, I was doing the same thing as an Armourer or “Gunnie” for Queen and country at the Aircraft Research & Development Unit. The Flight Sargent said, “Sign here, yes, you can be a RAAF Radio Technician after you do your 10 weeks basic training” I just didn’t notice he had his fingers crossed behind his back! So after about 6 months of hard yakka, they said” Take your pick of any trade you want but not Radio Tech as we have too many of them.” Yeah, those guys were smart and knew they would have a good job after they got out of the service. I did not happen to think of that at the time, and when I saw “Armourer” as a valid choice amongst Aircraft engine tech, airframe tech, etc I ticked YES – Armourer! WooHoo!! Bombs, Guns, Air Weapons and Ejection Seat Safety Systems, I was in heaven. I went on to represent the RAAF in 7.62 Long Range Shooting against the Army and Navy and cleaned them up. All that country town freedoms and training by my dad with a .22 rimfire rifle when I was eight years old and the later small bore and .303 1000 yard iron sights experience made me a natural. Yeah its my website so I can pump my tires!